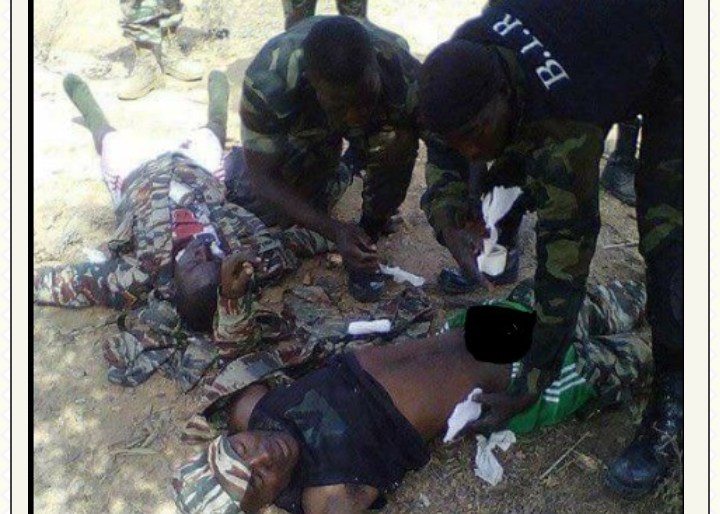 Here are trending photos of Cameroonian soldiers being treated by their colleagues after being wounded in a gun battle with Boko Harm insurgents in Cameroon. According to online reports, the shootout between the military and the terrorists lasted for several hours during a clearance operation by the troops. The injured soldiers were treated immediately at the battlefield.